The dependence upon renewable energy is becoming more obvious, the need for efficient solar cells is becoming vital, particularly when they are one of the cheapest and easiest ways to generate clean energy. In general, solar cells are not that efficient. However, latest advances in graphene-based solar cells have witnessed the reflectance of solar rays reduced by 20%, which offers a potential efficiency increase of up to 20%. Presently, several different variations of graphene-based solar cells are being researched. This article provides a comprehensive overview into the different types that are being analyzed by corporate and academic Researchers from all over the world. The fundamental principle of a graphene-based solar cell is basically not that different from present inorganic/silicon solar cells being developed today, with the exception that some of the materials that are currently being used are replaced with graphene derivatives. As with any material or device, there are parameters that can be enhanced in order to increase operational efficiency. Graphene excels in adaptability and tuneability. The number of graphene layers in the device (or in the individual components within a device) and the effects of doping a graphene-based material are the two prominent parameters that can potentially change the nature of the device for graphene-based solar cells. The relationship between sheet resistance, optical transparency and the number of layers can be characterized by a proportional decrease in both the sheet resistance and the optical transparency, with an increasing number of graphene layers. A single layer of graphene reveals an optical transparency of 97.7%. A 3-layered graphene stack shows around 90.8% optical transparency and the addition of each layer corresponds to a 2.3% decrease in optical transparency. A single sheet of graphene generates a sheet resistance of 2.1 kΩsq-1 and 350 Ωsq-1, while retaining 90% optical transparency. The quenching effect of multiple graphene layers can be up to 11% greater than monolayer graphene, due to the higher hole accepting density of state. The doping of heteroatoms onto a sheet of graphene can majorly alter the physical, chemical, photonic and electronic properties of the sheet and is a common approach in many solar cells. The two main types of doping are p-type and n-type. P-type doping uses trivalent atoms, such as boron, which extracts an electron off the graphene sheet and develops a hole, a process called hole doping, where the hole is produced in the valence band of the graphene sheet. Whereas, n-type doping involves pentavalent atoms, such as phosphorous and is an electron donating doping approach that helps a free electron from the pentavalent atom onto the graphene sheet. In this instance, the free electron is facilitated in the conductance band of the graphene sheet. Doping a graphene sheet can take place via different methods, including through liquid, solid and gaseous phase chemical doping, thermal annealing, ball milling, in-situ doping during chemical vapor deposition (CVD) methods and plasma treatment, to mention a few. The effect of doping differs based on both the doping process and the type of graphene derivative used. The general result is enhanced efficiency of the solar cell regardless of which of these parameters (or both) are utilized in the doping process. Different allotropes of carbon have been implemented into solar cells in order to reduce the cost, permitting them to be used in a more extensive manner. Other allotropes of carbon have not been successful because of the thickness of the layers and the inability to tune the electronic properties. Graphene based films for solar cells can be developed with a complete coverage and predetermined thickness. It also permits the properties to be tuned, based on the doping mixture used. Graphene has now been implemented into different junctions in graphene-silicon solar cells, including n-type heterojunctions, p-type heterojunctions and Schottky junctions. Graphene-silicon solar cells are being investigated however pure silicon cells performance is still considered to be superior. The tuneability of graphene is promising for hybrid solar cells. While it is not at the same level yet, improvements are being made and it is just a matter of time until their effectiveness surpasses pure silicon cells. Until now, n-type heterojunctions can produce a 0.55-0.57 internal voltage to facilitate electron-hole separation. Schottky junctions have just showed a power conversion efficiency (PCE) of 1.5%, but the fill factor at present has only reached 56%, thus theoretically, it is possible to bring about major improvements in the efficiency. 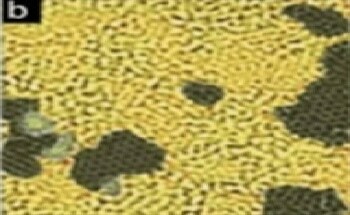 It has been studied that doping the graphene layers with gold particles leads to an increase in the efficiency by up to 40%. Graphene incorporation in polymer-based solar cells is a highly researched area. Polymeric materials offer several advantages over inorganic-based materials due to their low-cost, tuneability and simple fabrication processes. Graphene has shown immense potential in transparent electrodes as a replacement for indium tin oxide (ITO) in polymer-based solar cells. The graphene in the electrode becomes an organic-inorganic hybrid material after it goes through coating, layering, reduction and temperature annealing. The hybrid material has an improved energetic relationship, as the fermi-level of the graphene and the semiconducting layer are closer together for an efficient charge injection. Graphene-polymer transparent electrodes have a limit of 65% light transmittance, despite possessing a high work function and conductivity. CVD-produced graphene can be used as transparent electrodes besides reducing the graphene into hybrids. CVD-graphene is ozone treated, which generates hydroxyl and carbonyl functional groups on the surface of the graphene. The oxygen based functional groups enhance the open circuit voltage, but conductivity is decreased due to the sp2 hybridized covalent network being disrupted by sp3 bonds around the functionalized carbons. Non-covalent functionalized CVD-grown graphene displays excellent conductivity and can have up to 0.55 V open circuit voltage, a PCE of 1.71% and a fill factor of 55%. The flexibility of graphene allows the solar cell to bend up to 78° more than pure ITO electrodes. Electron transporter and acceptor based graphene-polymer solar cells depend on a high electron affinity in order to dissociate the electron-hole pairs into separate charges. Unlike other materials, graphene gives effective separation when blended with conjugated polymers. The large surface area of graphene allows for a continuous pathway and multiple acceptor/donor sites for effective electron transfer. This type of solar cell has developed a PCE of 1.1%. A hole transport layer is needed in many solar cells in order to stop current leaking and charge recombination. It is possible to mix graphene with polymeric material in order to produce a material with a band gap of up to 3.6 V which prevents electron migration from the cathode to the anode. A 2 nm graphene film is known to offer the best results as the thick film prevents the transmittance of electrons and increases electrical resistance. The highest PCE obtained has been 9%, which is considered to be comparable, if not greater, than other materials used as hole transport layers. When compared to other types of solar cells, DSSCs are different. They comprise of a semi-conducting material (e.g. TiO2) with a photo-sensitive dye as the anode coupled with an electrolyte solution and a pure metal cathode (e.g. Platinum). Graphene has a number of favorable properties capable of increasing the loading efficiency of the dye molecules, increasing the interfacial area and enhancing the conductivity of the electrons in order to compete against the effects of charge recombination. Balancing the ratio of graphene and TiO2 is vital for achieving an efficient system. The valence electrons from graphene become excited into the TiO2 conduction band through the graphene-TiO2 interface, which efficiently separates the holes and the electrons. So, sufficient graphene is needed (roughly 1%) to help this separation, but the introduction of higher graphene concentrations into the matrix leads to reduction of the transmittance. The integration of graphene into DSSCs enhances the light scattering at the photoanode, provides an efficiency that is 39% greater than pure TiO2 electrodes and efficiently disperses the dye molecules. Both graphene and carbon nanotubes have been hybridized with quantum dots in order to make functioning solar cells. Of the two carbon allotropes, graphene hybridized quantum dots have displayed immense potential. Produced by electrophoretic and chemical bath deposition on ITO, it is possible to develop a layered structure of both graphene layers and CdS quantum dots. The optimal layering structure comprises of eight repeating graphene-CdS bilayers. This graphene-CdS configuration can generate an efficiency of up to 16%, which out performs carbon nanotubes-CdS by 7% and 11% for other carbon allotropes. This is attributed to graphene producing a better scaffold in order to incorporate the quantum dots, the layered structure provides a speedy electron transfer from the QD to the graphene while suppressing the recombination of charges. Tandem solar cells, also called multi-junction solar cells, are made up of two or more subcells that are stacked together in either a parallel or series configuration. It has been predicted that a single solar cell can theoretically generate up to 40% solar energy conversion efficiency, but tandem solar cells have the potential to reach up to 86% efficiency. The PCE of several solar cells has been improved to date by employing tandem arrangements. The use of low band-polymer hybrid solar cells, commonly using ITO and various other carbon derivatives, has been well studied, but graphene-based tandem solar cells are still considered to be a relatively new field. However, there have been some promising developments using graphene oxide. Graphene tandem solar cells are to reach the heights of their non-graphene counterparts, but as a relatively new area they show immense potential, especially as non-graphene tandem solar cells show comparatively high PCEs. One such development refers to that of a graphene oxide and polymer tandem solar cells that consist of two sub-cells. The cells are made up of a bilayer of Cs-neutralized graphene oxide and pure graphene oxide connected by a charge recombinant layer of MoO3 and aluminum. Such cells have been found to generate a PCE between 2.92% and 3.91%, based on the polymer blend used and the thickness of the varied components within the cell. The open circuit voltage of the cell can differ between 1.23 V and 1.69 V, but is dependent on the resistance of the interconnecting layer between the graphene oxide sheets, which is considered to be a function of the thickness of the layer. Another tandem cell that utilizes graphene also integrates single-walled carbon nanotubes. Combinations of these materials have also been employed as the hole transport and interconnecting layers for ITO-based sub-cells. The thin film made up of these two carbon allotropes have been used in both inverted and regular solar cells, and the associated solar cells display PCEs of up to 3.50% and 2.90%, respectively. The resulting solar cell comprises of a higher PCE than solar cells that contain the same sub-cells but lack the graphene connecting layers. Even though in this application they are not directly involved in the sub-cells, the presence of graphene in the device leads to an increase in its total efficiency. Over the last few years, perovskite solar cells (PSCs) have made great strides due to their interesting bandgap and absorption properties that generate high PCEs. Perovskite solar cells have a standard structure, including the type of materials that are used, so the substitution of one material for another is indeed a comparatively simple process that leads to highly tunable solar cell devices. Nanocomposites made up of anatase-TiO2 and graphene nanoflakes have proved to be promising with a PCE up to 15.6%. The best results in these solar cells can be attained when the nanocomposite is utilized as an n-type electron collection layer. The graphene is present as a monolayer and is only present as 0.6 wt% of the whole cell. Any amount above this drops the effectiveness and is dependent upon a thin collecting layer. It is also possible to produce these perovskite solar cells by low temperature sintering methods. These cells also possess short circuit and open circuit values of 12-21.9 mAcm-2 and 1.05 V, respectively. Graphene oxide can be used as a hole conductor for inverted solar cells when paired with an efficient light absorber. The fabrication of this class of PSC is more complex in its synthesis, but provides a PCE between 9.26% and 11%, which is up to 7% greater than similar solar cells that do not have the graphene oxide layer. Thinner layers of graphene oxide (2 nm) are capable of producing higher efficiencies. The average short and open circuit values in these solar cells are around 15.58 mAcm-2 and 0.99 V.
Similar solar cells to the earlier example have been developed, but by using reduced graphene oxide as a hole transport layer, with a light absorber material. These solar cells are much more stable and can retain 62% of their initial PCE after 140 hours of constant sun exposure even though they only reach a PCE maximum of 9.14%. Thus, outperforming many other solar cells that can deteriorate significantly after 120 hours. The higher stability is attributed to the increased resistance that reduced graphene oxide possess against moisture and oxygen compared to other graphene derivatives. One application of graphene oxide is to functionalize it with amphiphilic moieties in order to promote interface wettability on the surface of a perovskite solar cell. The modification of graphene oxide can decrease the contact angle of hole transporting layer solutions to 0°. The carbon-carbon bonds in the graphene sheet absorb the hole transport layer molecules through p-p interactions and enhance both of the interfacial interactions within the solar cell which leads to an advanced performance. The functionalized graphene oxide can be doubled up as a buffer layer in PSCs and the dual-purpose graphene sheets can increase the short and open circuit potentials, and can also increase the PCE of a PSC device by up to 45%. It is possible to use the graphene derivative graphyne in PSCs in order to obtain high results. 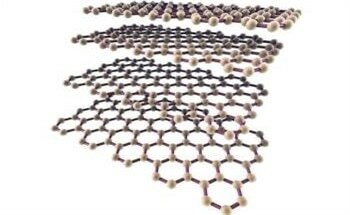 Graphyne is a 2D material similar to graphene, but unlike graphene’s structure of a regular hexagonal sp2 array, graphyne comprises of a mixture of sp and sp2 hybridized carbons and can be assumed as a lattice of phenyl rings connected by acetylene bonds, which position themselves as irregular hexagons. The integration of graphyne into hybrid electrodes, in an inverted solar cell, can attain PCEs up to 14.8%, much higher than non-graphyne solar cells of a similar composition. While the key focus around solar cells generally tends to involve the varied inorganic components, the organic components of the solar cell also play a vital role. Inorganic and organic components in a solar cell have disadvantages and advantages, but the optimization of the organic components can generate a more efficient solar cell. Components that could traditionally be inorganic in nature are now being replaced with inorganic-organic hybrid materials that offer superior physical properties, solution-processability, a large surface area, cost-effective production and are much lighter in nature. One concern with many solar cells is the environmental stability, but organic molecules are capable of providing stability against moisture, temperature and chemical degradation in solar cells, even when present as a hybrid material. The combination of inorganic and organic components generally produces higher stabilities and efficiencies than their pure predecessors. Aside from the two electrodes, traditional organic solar cells comprise of an active PEDOT:PSS layer and a donor-acceptor blend layer - commonly containing P3HT or fullerenes (or both). In recent years, the active PEDOT:PSS layer has been replaced by graphene derivatives and are commonly used as hole-transport layers in organic solar cells. These components, while not particularly a class of their own, currently cover a variety of solar cell applications, including in many heterojunction solar cells. The high electronic conductivity, flexibility, and transparency of graphene makes it useful in heterojunction solar cells, where they can be applied in a number of different ways including electrodes(both cathodes and anodes), donor layers, buffer layers, acceptor layers and active layers. The multijunction within the solar cell depends greatly on graphene’s specific tunable parameters, including the thickness, the concentration of doping on the sheet, thermal annealing temperature and its photovoltaic performance. Graphene-heterojunction solar cells are definitely the most extensively studied and used graphene-based solar cell. There are a number of variations of heterojunction solar cells and how graphene derivatives can be added into them, including as photoactive layers, transparent electrode and GalliumArsenide (GaAs) solar cells. Per se, graphene heterojunction solar cells cannot be generalized as a single group of solar cells. Graphene can easily be combined into certain layers. With its outstanding electrical, mechanical, optical and thermal properties, graphene is now studied as transparent electrodes in solar cells. Cheap Tubes investigated a few of the different molecules used in composite graphene transparent electrodes, but there are many others presently being researched. Before graphene was employed as a transparent electrode, ITO was the most generally used material due to its high optical transparency. However, ITO is brittle, is not economical and lacks mechanical flexibility. Graphene displays a low sheet resistance and a high optical transparency 90-100%, even in multiple layered graphene piles - both of which are extraordinary properties for transparent electrode applications. There have been a number of cases of graphene derivatives being used as both the cathode and the anode in heterojunction solar cells. Some of the common molecules used in these graphene derivatives including polyethylene naphthalate (PEN), MoO3, PEDOT, PSS and ZnO. PEDOT:PSS layers are the most common in graphene transparent electrdoes, with other materials being combined to enhance and/or tune the properties. Using a graphene-based dual electrode system, flexible solar cells have been fabricated using various graphene derivations. PEN substrates having diverse combinations of graphene, PTB, PEDOT:PSS and inorganic oxides usually exhibit a PCE of 6.1 - 6.9% for the anode and 6.7-7.1% for the cathode. These solar cells have also been found to display a short-circuit photocurrent density up to 14.8 mAcm-2, an open circuit voltage up to 0.71 V, with the potential to acquire a form factor of up to 57.6% after 100 tensile flexing cycles (or 20 flexing cycles). Solar cells from these composite dual graphene electrodes have found to exhibit a high efficiency, no loss of activity under mechanical tension binding tests and superior mechanical strength. Another variety of graphene bi-electrode solar cells integrating PEDOT:PSS, Buckminster fullerenes (C60), and copper into the electrodes, where one electrode is doped with gold particles, which are in the form of gold (III) chloride. The doping of the graphene electrode alters the wetting in the PEDOT:PSS layer on the surface of the graphene sheet. The alteration in properties results in enhanced PCE performance across the entire cell. Solar cells of this type have been created using one to three layers of graphene sheets. The solar cells electrodes may possess a sheet resistance between 300 and 500 Ωm-2, with a transmittance ranging between 91.2-97.1%. The PCE of such solar cells are found to be about 1.63%. The PSS can be substituted by polyethylene glycol (PEG) to create a solar cell which is less corrosive in nature (PSS is a strong acid). However, compared to other cells, the PCE is a lot lower so it is not commonly used. A substitute to using PEDOT:PSS is MoO3. This has been used by a few Researchers to create a different kind of hole transport layer. In these cells, low pressure CVD-grown graphene is used as the graphene source. These cells comprise of anode made up of graphene, C60, MoO3 and copper phthalocyanine (CuPc). This is a similar composition to a number of PEDOT:PSS electrodes and allows for a direct comparison in performance - one of the many reasons why the composition was selected. Based on the thickness of the hole transport layer, the PCE of these solar cells can range from 0.71 - 0.31%. While the PEDOT:PSS reference cell showed a PCE of 0.85%, this cell class display a much higher PCE than transition metal electrodes, where Mg/Al electrodes show the highest at 0.56%. Another area of graphene transparent electrodes research investigates zinc-graphene anodes. Some Researchers have created a hybrid photoanode, based around a ZnO, P3HT and ZnS core-shell nanorod array, suspended on a reduced graphene oxide film altered with ITO. Each component has a particular function within the electrode, the ZnS as the mediator, the P3HT acts as the hole acceptor and the ZnO as the transporter and conductive collector. In these anodes, the PCE is improved by the existence of a reduced graphene oxide film as well as ZnS/ZnO nanorods, displaying a PCE greater than 1.01%. This is two and half times the PCE of the electrodes that do not possess graphene, though still not as high as other solar cells. There have also been a number of other attempts to enhance the photovoltaic performance of both the transparent electrodes and the solar cells as a whole. Several multilayer electrodes based around graphene, P3HT, gold, PEDOT:PSS, copper, PCBM and PMMA in various compositions have been used with considerably different results. The transparency of these electrodes differs from 82.3% to 90% with sheet resistances changing greatly between 92 Ωm-2 and 374 Ωm-2. The PCE of such electrodes can differ between 1.17% and 13.3%. Graphene as well as graphene oxide can also be used in heterojunction solar cells as photoactive layers in the form of an active interfacial layer, hole-transport layer, electron-hole separation layer or as an electron-transport layer. As a general group of materials, graphene photoactive layers can display a PCE from between 0.4 and 10.3% based on the graphene derivative and the type of photoactive layer being made. There are presently hundreds of graphene photoactive layers being used as heterojunction solar cells. Photoactive layers made up of a few layers of pure graphene films whether created by flame pyrolysis, CVD or other display a PCE range between 1.01 - 2.88%. They can be used as n-type heterojunctions by utilizing n-type type silicon together with the graphene layers. Doping with nitric acid boosts the PCE of these pure graphene heterojunctions up to 4.35%, where up to 4.18% of the PCE can be reserved after 10 days. Graphene can also be coated onto n-type silicon nanowire arrays, where the nanowires overpower and harvest light much better than their planar counterparts. However, they do exhibit a lower PCE value than planar graphene-silicon heterojunctions, even after doping with thionyl chloride. Planar graphene-silicon solar cells can also be doped with thionyl chloride display a PCE lower than nitric acid doping, but greater than that of pure graphene-silicon heterojunctions with a PCE of 3.93%. The extremely volatile nature of thionyl chloride is accountable for the lower doping effects than nitric acid. The interface of the heterojunctions is the most vital part and a single layer of CVD-grown graphene (97% transparency, 350 Ωm-2) on silicon can show a PCE of 5.38-7.85%- much greater than multilayer graphene heterojunctions. This value can be raised even further to 8.94% by the integration of an antireflection layer of silicon dioxide. Apart from pure graphene, a number of graphene hybrid materials are present as photoactive layers. One such instance is that of lithium neutralized graphene oxide (GO-Li) as an interfacial layer between the photoactive layer and electron transport layer of solar cells. The addition of such layers can raise the PCE of a solar cell by up 6.29% compared to solar cells without the GO-Li layers. The thickness of these layers can tweak the photovoltaic performance, with thicker layers yielding a higher increase in the PCE. This layer also enhances the stability of the solar cell under moisture, solar exposure and air. Crystalline silicon and graphene quantum dots can be used as electron blocking layers to prevent charge carrier recombination at solar cell anodes. In these cells, surface passivation can happen because of differing terminal groups, specifically, oxide, hydrogen, and methyl moieties. Cells comprising of the methyl terminal group display the best PCE of up to 6.63%, compared to 2.24 and 2.92 for hydrogen and oxide terminal groups. However, degradation can happen over time and the short circuit value can decline by over 5 mAcm-2 and the PCE can decline by up 1.2%. 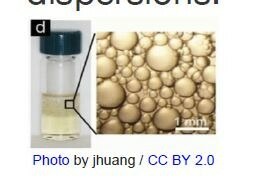 Graphene oxide can be used with gold nanoparticles to create anodic buffer layers. Capping agents are used in these hybrids, basically in the form of sodium citrate or glycine and can display a PCE ranging from 2.82-3.34%. However, the inclusion of P3HT and IBCA into the solar cell can raise the PCE up to 5.10%. Graphene oxide nanoribbons (GORs) can be used as hole extraction layers in a number of solar cells. These layers have been created to replace current ITO-based materials and have thus far managed to boost the PCE of a solar device from 2.20% to 4.19%. Apart from the PCE, the addition of GORs produces a lower sheet resistance and a higher shunt resistance compared to their ITO counterparts. Electron extraction materials in solar cell devices can be produced using Cs-neutralized graphene oxide. Solar cells using these materials have been found to display PCEs up to 3.67%. However, more significantly, the photoactive layer has been found to function separately to the electrode materials, in both inverted and normal devices. The charge neutralization ability of these materials can reverse the charge extraction properties in heterojunction solar cells. One of the most effective graphene photoactive layers is made from a hybrid material possessing PEDOT:PSS, graphene oxide and n-type silicon nanowires. The wt% of graphene oxide has a deep effect on the PCE of the device with the ideal concentration being 30%, which yields a PCE of up to 9.57%. In comparison, the replacement of silicon nanowires for planar silicon creates a huge drop in the PCE to 4.30%. These layers not only demonstrate a high optical transparency compared to non-graphene photoactive layers of a similar composition, but also show a reduction in the exciton decay. As with most of the high accomplishing photoactive layers, silicon nanowires are the universal factor. The maximum PCE accomplished so far in academic research has resulted from the addition of graphene into a silicon nanowires array. The PCE can be tweaked by changing the number of graphene layers and by adding doping effects into the material. The doping of P3HT to serve as an electron blocking layer between the graphene and silicon layers has yielded a PCE of up to 10.30%, with a low carrier recombination at the anode. These have displayed to be one of the most promising options as a photoactive layer material in heterojunction solar cells. There are many other prominent photoactive layers created from graphene derivatives/hybrid materials, including graphene-CdS-based materials that can display a PCE up to 7.5%; thiolated reduced graphene oxide (TrGO) materials that exhibit PCEs up to 4.20%; GO-ethylene-dinitrobenzoyl electron acceptor materials with a PCE up to 2.41%; graphene and transition metal oxide composites that exhibit PCEs up to 7.3% and graphene-C60-silver-based hybrid materials that can display PCEs up to 7.2%. GaAs solar cells have been one of the most extensively examined types of heterojunction, namely Schottky junction, solar cells. In spite of the large amount of research, only a few have touched PCE levels comparable to that of PSCs and other heterojunctions. However, the ones which have attained high PCEs are some of the most effective graphene-based solar cells. GaAs has an excellent band-gap to silicon, with a charge carrier mobility that is six times higher. Theoretically, GaAs heterojunctions have the potential to create efficient solar cells, but the devices presently being produced differ in quality. One of the cells that is less satisfactory than its high-flying counterparts is based around CVD-grown single and multilayer graphene on n-type GaAs substrates, which only displays a PCE of 1.95% and an open circuit voltage of 0.65 V. Another such example is that of pillar-array-patterned silicon substrate with graphene, which only displays a PCE up to 1.96%. With nitric acid doping, the cell can realize a PCE of up to 3.55%, but it is still lesser than many other solar cells. By comparison, a Schottky junction solar cell composed of CdS nanowires and graphene has only attained a PCE of 1.65%, displaying that there is a broad range in terms of quality, not only with GaAs solar cells, but with Schottky junction solar cells at large. Among the higher achievers, is that of a solar cell made up of an n-type silicon and TFSA doped graphene Schottky junction. The synthesis method is simple and a PCE of up to 8.6% can be accomplished, which is 4.5 times higher than that of its un-doped counterpart and six times more than other GaAs solar cells. The doping of TFSA on these devices not only raises their performance, but also enhances the stability of the device, compared to an un-doped version, to both moisture and oxygen. One of the improved-quality GaAs solar cells is that of a cell which is made up of a GaAs substrate and graphene, with silver ‘fingers’ and a silicon nitride (SiNx) insulating layer. These solar cells have attained much better efficiencies than a number of other solar cells, with PCEs differing between 10.4% and 15.5%. By enhancing the open circuit voltage, graphene resistance, junction ideality factor and the internal interfacial contact, there is a theoretical possibility to accomplish a PCE of up to 25.8% with these solar cells. Solar cells made up of graphene/semiconductor van der Waals Schottky diodes, with a tunable gate and Fermi level, set the trend in terms of efficiency. The heterojunction utilizes a graphene-dielectric-graphene gate to accomplish a PCE of up to 18.5% - much higher than other GaAs solar cells. The open circuit voltage, while not the most ideal compared to other solar cell classes, is better than a number of other GaAs solar cells, with a value of 0.96 V. Apart from producing a very efficient solar cell, there are theoretical predictions that the PCE of these cells could be raised to 23.8%. The last two GaAs solar cells, display values close to commercially prepared solar cells and until recently, silicon-based solar cells had only touched a PCE of up to 22.5%. So, with some improvement and despite the inconsistencies in quality over the entire group of solar cells, some GaAs could realize efficiencies comparable to commercial solar cells. Latest developments in silicon-based solar cells have accomplished a PCE of up to 26%, but this has only just been found out and is presently confined to academic laboratories. To create a graphene transparent electrode for heterojunction solar cells, first, create or purchase CVD-grown graphene on copper foil. To prepare this electrode, a modified transfer technique is required. To transfer, deposit PMMA and cure, followed by etching of the copper foil with FeCl3 solution and rinse with deionized water three times. The following stage is to rinse the PMMA-graphene with deionized water and position on a glass substrate. Re-deposit one drop of PMMA onto the material, cure and remove the PMMA using acetone. Dope the transferred graphene film with HNO3 vapor (69% concentration, 10 seconds). To manufacture the device itself, the preparation of a silicon wafer with PEDOT:PSS is needed. Using acetone, deionized water and ethanol, a silicon wafer must be cleaned for half an hour and then treated through chlorination and alkylation. Add PEDOT:PSS with DMSO (5 %wt) and Triton (1 %wt) and mix well to ensure proper mixing. For creation of the cell itself, use physical vapor deposition (PVD) and deposit LiF (0.6 nm) and Al (200 nm) electrodes onto the back of the silicon wafer. Spin-coat the PEDOT:PSS solution onto the silicon wafer and graphene-glass substrate (4000 rpm, one minute, 70-80 nm thickness). Anneal the organic films at a temperature of 125 °C for 30 minutes in a glove box. Encapsulate the solar cell, using a clamp and AB glue to properly stick the silicon wafer and the graphene-glass substrate together. The promising Ga/As solar cell has the potential to be additionally enhanced for commercial use. Firstly, grow or purchase CVD-graphene on copper foil. Next, eliminate the oxides on the Ga/As wafers by dipping them in HCl solution (10 %wt, three minutes) and link gold contacts measuring 60 nm in thickness on to the back surface of the wafer by thermal evaporation. Deposit a SiNx layer measuring 80 nm on top of the Ga/As surface by plasma enhanced CVD with a lithography-processed mask, to act as the insulating layer between Ga/As and graphene. Open a window (active area) on the Ga/AS by dipping in HCl solution (10 %wt, five minutes) and rinse with deionized water. The active area has to be treated using NH3 plasma treatment for five minutes with a 120 W 27.5 MHz RF generator. With PMMA as a support, the graphene sheet can be transferred onto the substrate. The PMMA is removed with acetone and silver is pasted onto the graphene, above the SiNx area, followed by annealing at 120 °C for five minutes. Spin coat TFSA (bis(trifluoromethanesulfonyl)amide) to dope the graphene. Add an antireflection layer - an electron beam evaporated Al2O3 film measuring 68 nm in thickness. To prepare the gate, transfer an additional layer of graphene onto the active area that is coated with Al2O3 by the same technique as before. The PMMA has to be removed and the silver gate electrode pasted onto the graphene gate, followed by annealing at 120 °C for five minutes. Solar cells have become a topic of intense research in industry and academia alike with new progresses being achieved all the time. A majority of the solar cells being created utilize silicon and inorganic-based materials, which are at some point going to reach their limitation. The combination of organic molecules of low band-gap polymers, graphene derivatives, or both are set to transform the industry and result in many commercially feasible solar cell device architectures. There has been great progress thus far into graphene-based solar cells and this is going to last well into the future. The ability to improve various parameters renders graphene-based solar cells highly modifiable and adaptable to future challenges in solar research. Whether through enhancing current solar cells, optimizing the properties of existing non-graphene-based solar cells or by developing a new range of graphene photovoltaics, it is obvious that graphene has a role in this exciting and swiftly advancing field.